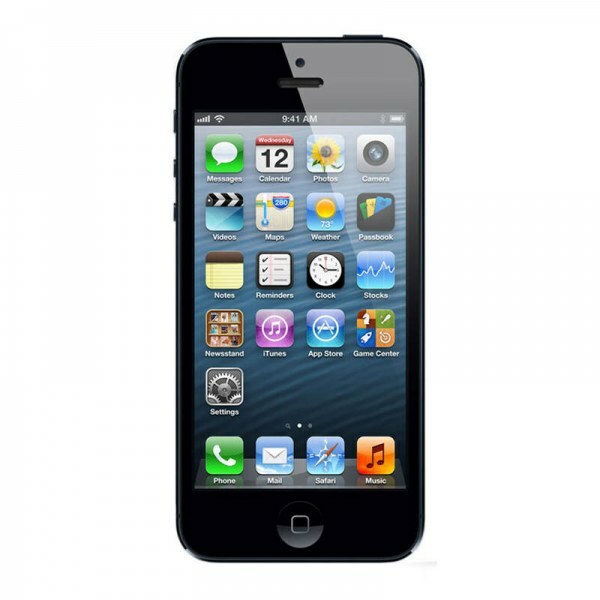 Apple iPhone 5 is designed with detail and a lot of precision. The iPhone has a four-inch retina display and has been lauded as the thinnest phone in the world available today. This phone has an anodized 6000 series aluminium on its back. Aforementioned is the same stuff that we find in Apple notebooks. If you take a close look at the phone, you will find inlays along the top and the bottom of the device. These inlays have been built with ceramic glass. They not only depend on the black model, but you can also make them on the white and silver models. They also look like pigmented glass on the slate and black model of the phone. The device powered by an A6 Chip that is a better power processor. It also has an extra standard battery backup and users can get an Apple iPhone in two versions- black & slate and white & silver. There are several notable features of this phone that it is making it one of the most widely sought after phones in the mobile market. I have also written a post about some astonishing facts of iPhone 5. The iPhone 5 has a retina display and a 4-inch screen that is a widescreen multi-touch one. It has an 1136 by 640-pixel resolution at 326 ppi. This phone also has 800:1 contrast ration and an oleo phobic coating on the front of the phone that is fingerprint resistant. The phone also has support for the display of multiple languages and many characters simultaneously. Users will get an in-built rechargeable battery that is a lithium ion one. They are able to charge the phone via USB to computer or with the aid of power adapter. The phone has a talk time of up to 8 hours. The standby time of the phone is up to 225 hours. For internet consumption, users are able to come up to 8 hours on LTE with up to 10 hours on Wi-Fi. There is a video playback of up to 10 hours and audio playback of up to 40 hours. Users are able to get the benefits of the 8MP iSight camera. There is the Panorama effect. Users can make use of video recording HD up to 1080p for 30 frames every second with audio. This phone also sports a FaceTime HD camera with 1.2Mp and an HD video of 720p that provides 30 frames per second. Users are also able to get the benefits of auto focus. They can tap to focus on still images and video. You get the face detection feature in the video and still images. The device has LED Flash. The video stabilization in this phone is better. The Geo-tagging and photo quality have improved. The Apple iPhone 5 supports Micro-Sim and runs on the A6 platform. You can use the device in 16GB, 32GB and 64GB versions. The device boosts a 4.0 Bluetooth for wireless technology. It has the HTML Safari. The phone has a support for mail attachment, and with it you can view attachments in various formats. Some of the notable ones are jpg, gif, doc, doc x and more. There is also supporting for audio and TV and playback. The device comes with ear phones from Apple with a MIC and Remote. The device also has a storage and travel case that comes along with it. Thus, makes it uncomplicated and easy for people who are always on the move with their iPhones.